In the military, servicemembers accused of a crime find themselves facing trial by court-martial. A court-martial is a unique military criminal trial that has been created by the UCMJ, or Uniform Code of Military Justice. There are three types of courts-martial: general courts-martial, special courts-martial, and summary courts-martial. A general court-martial is roughly the equivalent of a felony criminal case. Punishments here are the most severe and can include death, confinement up to a life sentence, dishonorable discharge, and total forfeitures of pay. A special court-martial is roughly the equivalent of a misdemeanor criminal case and the maximum punishment can include a bad conduct discharge and up to one year in jail. Finally, a summary court-martial is a lessor forum where the punishment is less severe but usually still results in destroying one’s military career. A court-martial can be a confusing and overwhelming process. Potential punishments are severe. The military juries, or members, are chosen by the very same commander who decides if the case goes to a court-martial. The government and its prosecutors seem to hold all of the power. And changes to the UCMJ and Manual for Courts-Martial over the last several years have made it more and more difficult for a servicemember to defend himself or herself from any kind of accusation. If you are facing a court-martial, you and your lawyer must fight. Too many military lawyers, both civilian and uniformed JAGs, are quick to force a client to plead guilty and accept whatever punishment may follow. You need an attorney who is willing to fight all of the way. 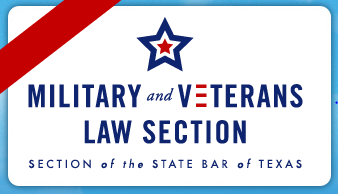 Mr. Vokey has handled hundreds of courts-martial and has more trial experience than most other military lawyers combined. He understands that the best outcomes are a result of hard work, aggressiveness, and supporting the client above all else. Mr. Vokey has won cases that many other have deemed unwinnable. 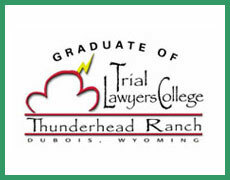 Using his experience and knowledge as a retired Marine Corps Lieutenant Colonel and as a Staff Instructor for Gerry Spence’s prestigious Trial Lawyers College in Wyoming, Mr. Vokey knows how to win in the court room. If you find yourself facing trial by court-martial, you need Colby Vokey on your side.